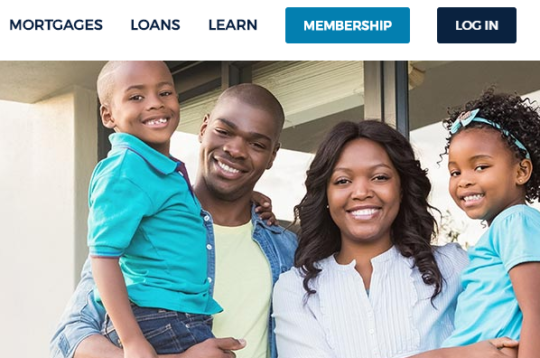 Established in 1935, Pentagon Federal Credit Union, or PenFed, is one of America’s steadiest and strongest financial institutions, even beyond the category of credit unions. 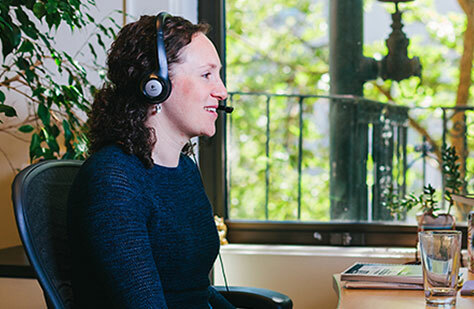 With more than 1.7 million members, in all 50 states and several US territories, and over $24 billion in assets, PenFed is committed to helping their members ‘do better’ through their shared beliefs in both the American way of life, and in themselves. Here, we review their website to highlight what PenFed is doing well, and how you can be more like PenFed. PenFed’s website calls your eyes to the things that are important by juxtaposing vibrant CTA buttons against clean white space. Whether it’s the Membership or Login buttons at the top of each page, or the Careers and Contact blocks farther down the Home Page, PenFed has managed to ensure that the user’s attention naturally flows to the places on the page that provide a clear next step. The number of links in PenFed’s main navigation could easily be overwhelming. But with intuitive categories and an uncluttered design, the navigation menu, while large and comprehensive, is also easily manageable, thanks to the information architecture work behind it. Financial literacy is an ever-evolving process; different life stages give rise to different financial goals and desires. 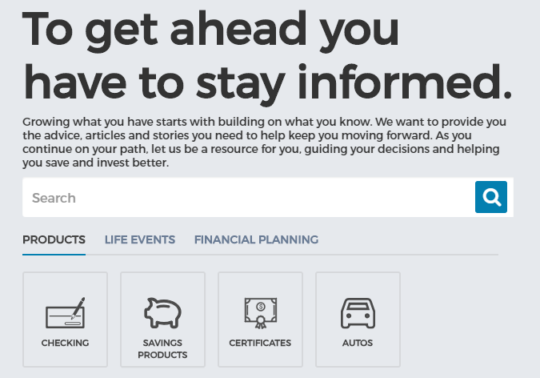 PenFed makes it easy for members to keep themselves informed, with its comprehensive, searchable content base, which is also broken down by categories (products, life events, financial planning). This is enables members to both follow the latest content, and easily find specific advice for their current situation. 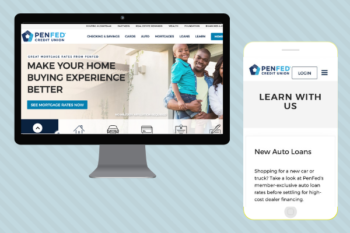 The standout feature on PenFed’s website is its searchable content base. While having a blog is basically standard practice at this point, great content quickly fades away in to the background if your blog doesn’t have a search feature, along with well-organized categories that align with your members’ needs. To isolate the correct categories, your team should ask questions like, “Do we have more than five categories? If so, can we eliminate overlap and streamline them?”, as well as, “Are the categories member-facing? Are they in line with what our members want/need?” Once these are sorted out, ensure that you diligently tag and categorize your blog posts, so that users can easily locate relevant content. If you’re looking to revamp or bolster your website’s capabilities, contact us at PixelSpoke today!